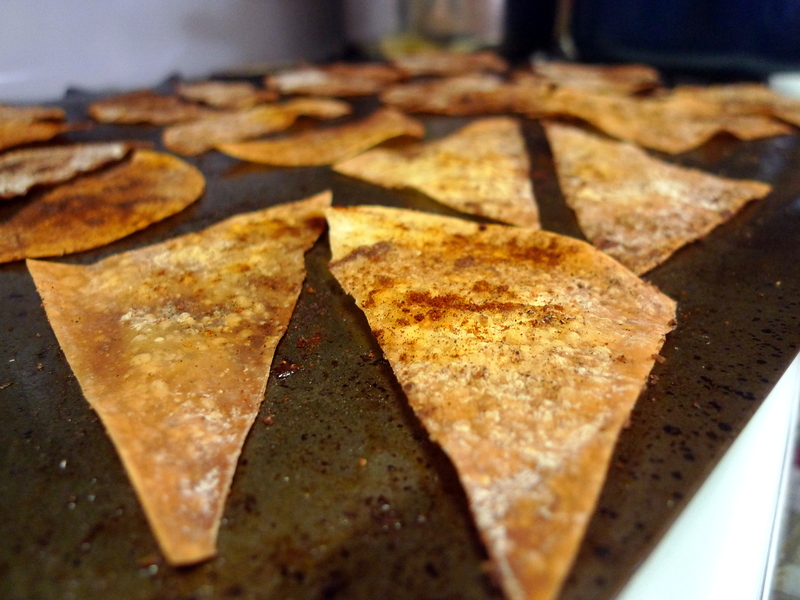 After baking my own Chili Lime Tortilla Chips (um from already made tortillas), I decided to try out another do-it-yourself-chip-flavor at home. 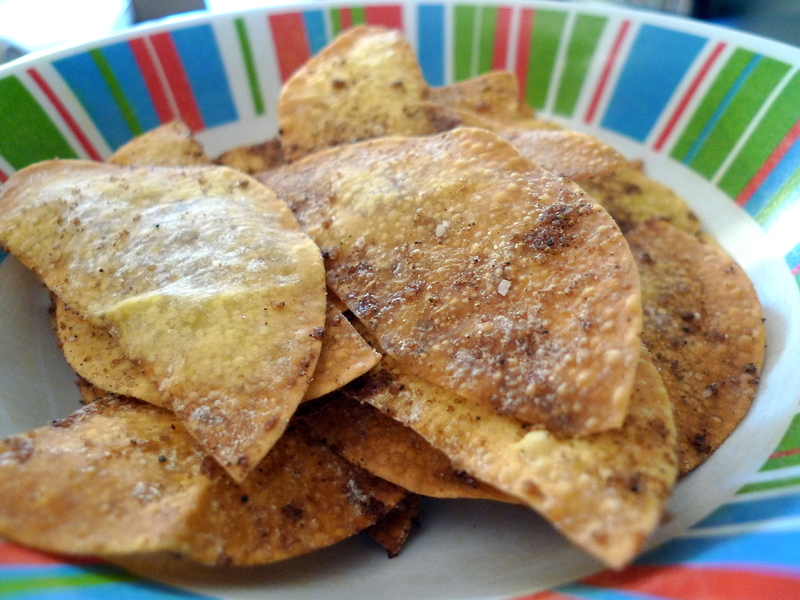 I had plenty of wonton wrappers leftover from my Wonton Baskets and decided to use some of the wontons to make chips. These little morsels were sweet and spicy and quite addicting! In a small bowl, mix the brown sugar, salt, five-spice powder and cayenne together. Brush the wonton wrappers with the vegetable oil and sprinkle with half of the spice mixture; flip and repeat. Cut the wontons diagonally in half and spread on 2 baking sheets coated with cooking spray. Bake until golden, about 10 minutes. Let cool until crisp.